*Online Premiere* When the night fish arrive, their job is to feed on your sanity. 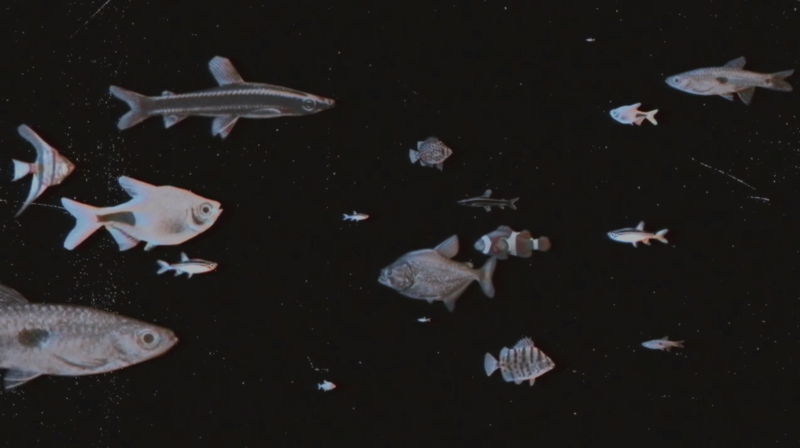 Presented in second-person point of view and comprised primarily of crudely animated fish floating across a cosmic starry black landscape, “The Night Fish” directed by Albert Birney is a poetic rumination about the fears that keep us up at night. A French narrator talks us through it, “You close your eyes. And you see them.” A school of fish descends as you attempt to calm your thoughts. You try to hide from them, perhaps in the static of a TV screen. 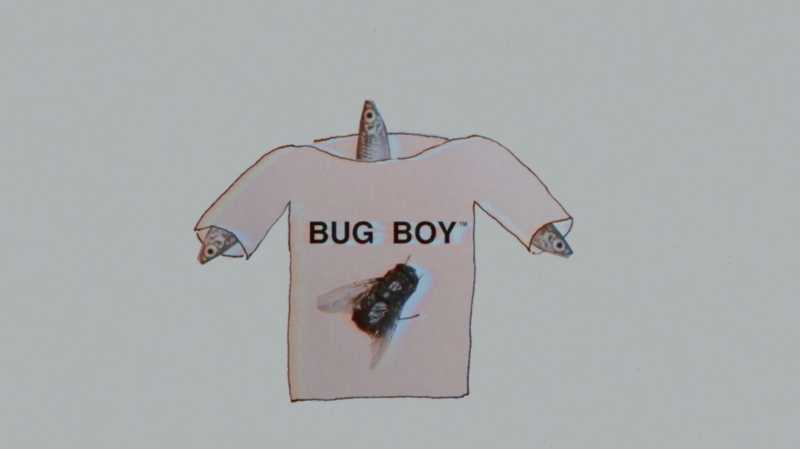 What you may find there, say a sitcom about a fly called “Bug Boy” defecating around his house, could provide some diversion, but will it be enough to keep the night fish at bay? Plunging into the depths of existential despair but maintaining a co-existing levity and self-awareness, this beautiful lo-fi animation, merges with rousing sound design and music, to leave a haunting impression. (9 minutes). Directed by Albert Birney.